The U.S. retail assignment includes creative, strategy and digital duties for Campbell’s Soup. The Campbell Soup Company has selected Publicis Groupe as its new agency partner for U.S. retail, creative for Canada and the Asia Pacific region, digital, technology and consumer promotion and global media buying and planning responsibilities, following a review that started in October. The U.S. retail assignment includes creative, strategy and digital duties for Campbell’s Soup, Chunky soup, Well Yes! soup, V8 beverages, Prego sauces, Pace salsa, SpaghettiOs and Swanson broth brands. Publicis Groupe also will handle Campbell Arnott’s in Australia, New Zealand, Malaysia and Indonesia. Creative and digital for Campbell’s Pepperidge Farm and Campbell Fresh brands were not part of the assignment. Y&R handles creative for Pepperidge Farm and recently partnered with Campbell’s to launch the Goldfish Tales Animation Experience Contest ahead of the New York International Children’s Film Festival. Campbell Fresh works with agencies on a project basis and recently partnered with Erich & Kallman for the launch of its Plant Protein Milk brand. The Mars Agency will continue to handle shopper marketing for the Campbell Soup Company. Other brands across Latin America, Hong Kong and China were not part of the scope of the review but may be reevaluated in the future. “Campbell is on an ambitious transformation journey, and at Publicis Groupe, we’re delighted to have the opportunity to partner with them to reinvent their marketing using our human hub model, putting the consumer at the core of everything we do together,” Publicis Groupe CEO Arthur Sadoun said in a statement. “This new model will be powered by data, analytics and audience insights, providing creative solutions as we continue to connect with new generations of consumers,” Rani said. 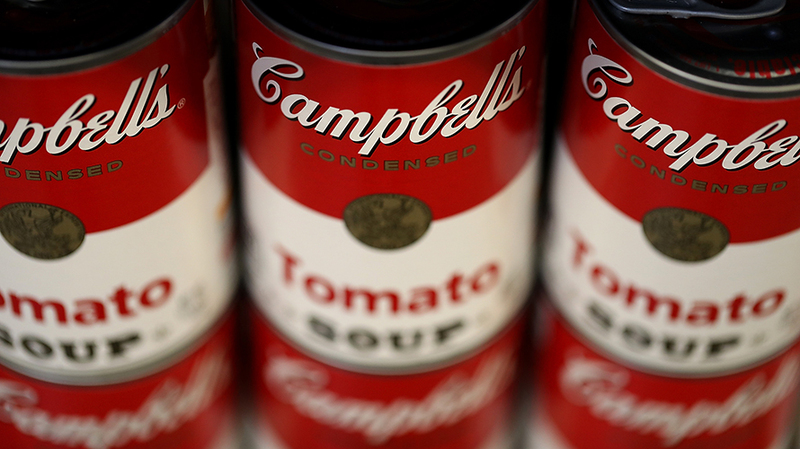 The appointment concludes a long-term relationship between Campbell and Omnicom agency BBDO, which had worked with the Campbell Soup Company since 1954. In 2017, Campbell’s sent creative on its Chunky brand to BBDO on a project basis and without a review after twenty years with Y&R. The Campbell Soup Company spent just over $164 million on measured media domestically in 2016 and nearly $93 million in the first half of last year, according to Kantar Media. “We are pleased with the performance of our current agencies but believe we can be both more effective and efficient with a more streamlined approach,” a company spokesperson told Adweek in a statement in October. MEC had previously handled global media buying and planning for Campbell Soup Company since it consolidated its global media buying and planning duties with MEC in 2006. Prior to that, MEC’s New York office had served as Campbell’s U.S. media agency of record since 1999.